Yesterday I covered the Big 3 new apps of iOS5 (Notifications, iMessage, & Reminders) as well as 5 useful built in features (Comptuer Free, Wifi Sync, Camera, Photos, Settings). Today I’ll round it off with all those other little updates you should know about. Calendars got a boost in this last update. For smaller iOS devices, this means that you go horizontal you now get a week view. On the iPad you now have the ability to have a “hot” view, showing what times of the year you are most busy. Both devices also gained the ability to add new calendars directly. This is an iPad exclusive, but something I’ve used too often to pass up mentioning. You can now use gestures to move around the system. 4 finger pinch to get to the home page, 4 finger swipe up to get to the multi task bar, and 4 finger swipe left and right to navigate to different apps. Mail now has the ability to do rich text. No this doesn’t mean that it pays you, but it does mean you can now create emails that have bold, italic andunderline text in it. You can also do the same with your signature, although you are still limited to just the one for all your accounts. There’s a couple new accessibility features in iOS5, many for those of us even without any issues. You can set custom patterns but just tapping the phone of both flashes and vibrations and assign them to different people , as well as better voice over features. For those that get newspaper and magazines on our devices, this is a great little addition. Any iOS 5 updated app will now reside in the “Newsstand” folder, and have background update, show you the latest issue on the cover, and keep everything nice and neat. For those that don’t… well you have a new icon that you can’t move easily (or rather you shouldn’t move), and that’s about it. Safari got a few new enhancements. The first people might notice is it’s fast. Really fast, compared to previous versions. You also have new “send” options (that little arrow in the menu) as well as a reader feature for offline or cleaner reading. On the ipad you also now have tabs to make navigating different webpages much easier. On of the feature in the “send” button in safari is now Tweet, thanks to the global integration of the twitter ecosystem. You set up your account in the settings app, and from different sources you can send out webpages, links, pictures or any number of different things… all from within whatever app you are already in. This is something I wish I could blankly recommend. But at this point something to know is there and to avoid… at the moment depending on your situation. For those with Lion or Windows and no MObile Me – go for it. the features of backing up to the cloud, syncing contacts, find my friends, and photo stream area all wonderful things. 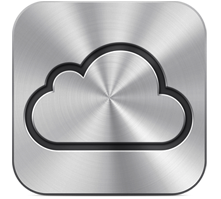 For those running Snow Leopard or wanting to convert your MobileMe account… don’t Snow leopard has no support for iCloud (yet) and causes a number of odd contact and calendar sync issues, as well as missing the ability to add a iCloud account to the Mail app. Which means any converted MobileMe account must get their mail on the web and not locally. Hopefully these issues are addressed soon. Did I miss one of your favorite new “must know about” features in iOS 5? Leave a comment below. For those that seem to think I’ve missed a huge one… you are partially right. No where did I mention Siri, Apple’s new iPhone Personal assistant, as a main feature. That’s because, although incredibly useful and possibly the new interface for our devices… I consider this more a feature of the iPhone 4S, not that of iOS 5. Perhaps later if they included this beta product (since it is still technically in beta), for other devices I’ll add it to the list. Heck, Apple doesn’t even include it on their own webpage of iOS 5 items. So for now this list is just for iOS 5 features.